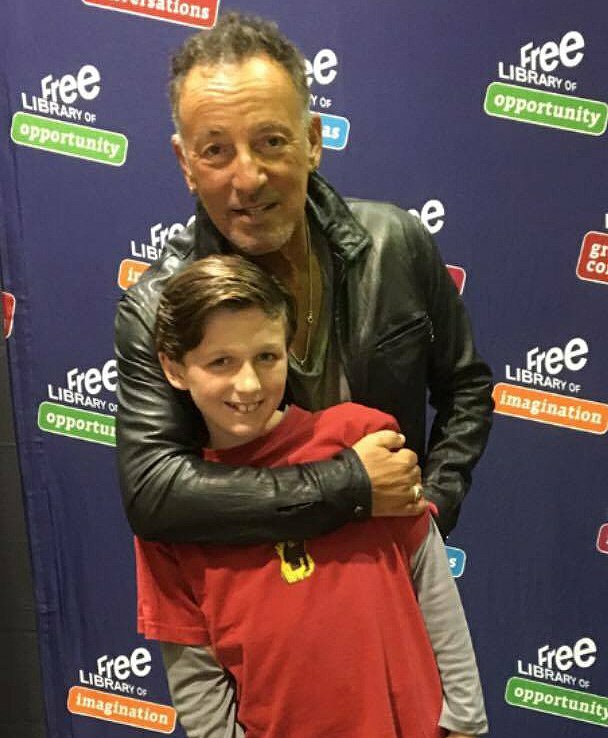 When fifth grader/die-hard Bruce Springsteen Michael Fenerty wanted to meet The Boss at a book signing on September 29, one huge obstacle stood in his way -- he would have to miss school to attend the event. According to KTVI, when Michael wasn't able to attend a recent Springsteen concert because ticket prices were too high, he was heartbroken. To make up for it, Michael's dad, a fellow die-hard fan who has been to 160 or so of his concerts, promised to take him to the during-school-hours meet-and-greet -- but it was Michael who knew exactly how he could get his absence from class excused. 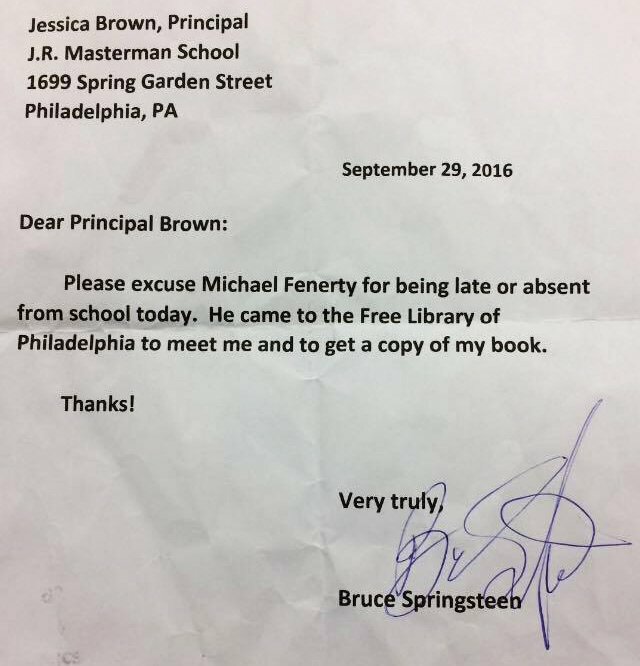 With the help of his father, Michael slyly typed up an absence letter and, when he met Bruce, he asked him to sign it. Michael's dad told KTVI that Bruce lit up and joked with him, saying, "I have to read it first.. That's how I got in trouble with my first contract." After the event Michael's dad said he couldn't give up the memorabilia, so he photocopied the letter to give to the school's principal and kept the original ... and we're almost willing to bet that no detentions were given out in the making of this story. It's probably worth mentioning that this isn't eventhe first time Good Guy Bruce has done this before!